The Pelican Bay State Prison Security Housing Unit (PBSP SHU) short corridor prisoner representatives have read, carefully considered and hereby oppose the California Department of Corrections and Rehabilitation’s (CDCR’s) March 1, 2012, “Security Threat Group Prevention, Identification and Management Strategy“ proposal (hereinafter proposal), based on the following reasons. Additionally, we do hereby present our counter proposal. Beginning in May of 2011, the PBSP SHU short corridor prisoners collective presented CDCR with a formal notice of intent to go on a peaceful protest hunger strike beginning July 1, 2011, in order to expose and force policy changes regarding our subjection to 25 years of torturous human rights abuse in California SHU and Administrative Segregation (Ad Seg) units. The formal notice included a list of five core demands and a formal complaint summarizing the facts and circumstances leading up to and supporting the basis for putting our lives on the line to stop the torture of our families and ourselves. 1. Eliminate group punishment. When an individual prisoner breaks a rule, the prison staff often punishes a whole group of prisoners of the same race. This practice has been applied to keep prisoners in the SHU indefinitely and as a pretext for justifying the imposition of harsher conditions in SHU and Ad Seg units. When an individual prisoner breaks a rule, the prison staff often punishes a whole group of prisoners of the same race. 2. Abolish the debriefing policy and modify active/inactive gang status criteria. Prisoners are accused of being participants in illegal gang activity based on innocent associational activity and unsupported fabricated “evidence” provided by confidential prisoner informants, resulting in indefinite SHU isolation torture. And to obtain release from these torturous conditions, they must successfully “debrief”; this means provide staff with information about gang activity. Debriefing produces false information that CDCR-OCS uses to justify the indefinite torture of thousands of California prisoners via SHU isolative sensory deprivation for coercive purposes, as well as endangering the lives of debriefing prisoners and their families. 3. 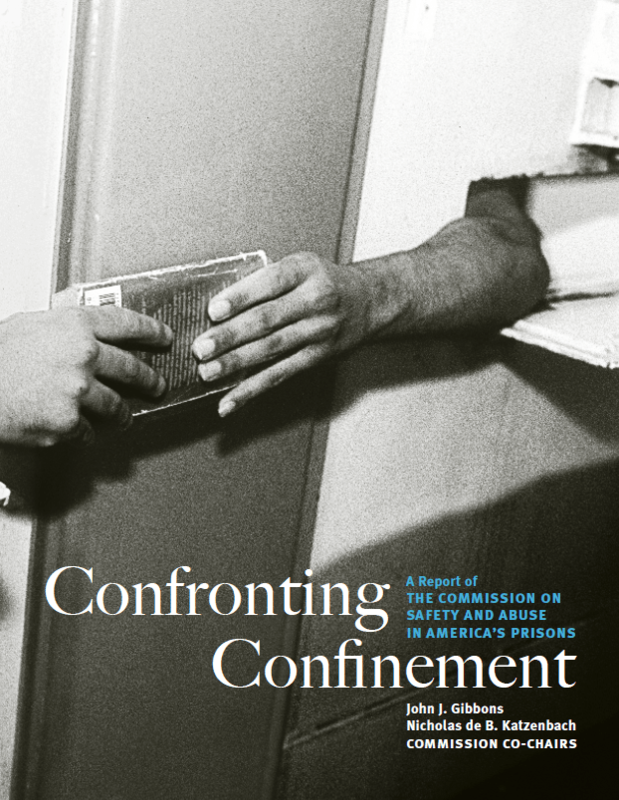 Comply with the recommendations of the U.S. Commission on Safety and Abuse in Prisons (2006) report, calling for an end to the use and abuse of long-term isolation as well as the use of segregation as “a last resort for as short a time period as possible.” And when segregation is necessary, there needs to be access to meaningful programming, human contact, sunlight etc. 4. Provide adequate food, food that is nutritious and served in adult-size portions on clean, sanitary trays. Prisoners must have the ability to purchase nutritional supplements. 5. Expand on and provide constructive programs and privileges for indefinite SHU prisoners with a list of examples of things provided at similar supermax prisons across the nation. With respect to core demands 1, 2, 3 and 5, regarding policy and practice of the basis for indefinite SHU isolation, avenue(s) available for gaining one’s release therefrom, and the progressively punitive nature of SHU and Ad Seg conditions, it’s important to remember, many SHU prisoners have been held indefinitely and subject to sensory deprivation and every other abuse imaginable that occurs in such hidden hell holes for 10 to 40-plus years and counting, solely based on what the CDCR Office of Correctional Safety (OCS) refers to as their “intelligence system,” i.e., debriefer allegations and innocent associational activity without ever actually being charged and found guilty of committing a criminal gang-related act. Thus, the parties understood CDCR’s intelligence system for indefinite SHU placement was one of the major issues of concern to the class of SHU prisoners and their families, subjected to such long term isolation and abuse without being charged and found guilty of committing a criminal act by credible evidence and after the due process such formal charges would require. The parties all understood [the need for] a major fundamental change away from the above referenced “intelligence” based system to a “behavioral” based system, defined as a system wherein prisoners who engage in “criminal gang activity” that is supported by “credible evidence” will be subject to sanctions (per CCR, Title 15, §§ 3312-3315, et seq., i.e., rule violation reports, referral for prosecution, determinate SHU term, and corresponding loss of privileges – after receiving due process and being found guilty of the criminal act alleged). On March 9, 2012, CDCR issued a press statement and presented their proposed gang management policy changes (the proposal) in response to our peaceful protest activity and related five core demands and the negotiation process referenced above. Note that the OCS is the gang intelligence goon squad in charge of the Special Services Unit (SSU) and Institutional Gang Investigation (IGI) unit within CDCR. This propagandist, manipulative abuse of state power includes the ongoing use of long-term isolation and sensory deprivation designed to coerce prisoners to become state informants, while also making a ton of money from such SHU/Ad Seg torture units. The CDCR-OCS is asking the lawmakers and taxpayers to allow it to continue to violate thousands of prisoners’ human rights, including the use of torture with impunity based on false propaganda scare tactics exemplified below. The CDCR-OCS is asking the lawmakers and taxpayers to allow it to continue to violate thousands of prisoners’ human rights, including the use of torture with impunity based on false propaganda scare tactics. The proposal and related CDCR press statement begin with propaganda, claiming California prison gangs are “the most violent and sophisticated prison gangs in the nation. California prison gangs are connected to major criminal activity and have had influences on nearly every prison system within the United States,” according to the press statement of March 9, 2012; similar statements appear in the proposal on pages 2, 3 and 5. They also claim their current torture practices, those utilized for over 25 years, have been “successful in reducing the impact sophisticated gang members have in CDCR facilities” by “isolating them from the general population” (proposal page 2, paragraphs 2 and 4). These are the same manipulative tactics used by OCS for 25 years. They’ve gotten away with it at a cost of hundreds of millions of taxpayers’ dollars and with the destruction and severe physical and psychological damage long term subjection to torture units has caused thousands of prisoners and their loved ones outside prison. And all of this in the face of the facts and evidence to prove that CDCR-OCS’ propaganda-style manipulative statements are false. In spite of being subject to 25 to 40 years of extreme security surveillance by alleged gang expert special agents, the majority of the prisoners classified as prison gang members have never been charged or found guilty of any criminal gang-related acts! Moreover, a statistical study of the CDCR’s practice during the 25-year period prior to imposition of the current policy of placing all prison gang affiliates in SHU and comparing this data with the current 25-year SHU policy will prove that CDCR general population prisoners have been significantly more violent and out of control since the current policy has been in place. CDCR-OCS is directly at fault for these 25 years of madness in the general population prisons by way of staff manipulating prisoners against each other to further the staff’s agenda. A lot of riots and other violence is useful support for increasing prison construction, staffing, extra hazard pay, overtime etc. A) The proposal wants to change the classification of “prison gang member” into “security threat group I” member (STG-1 member), while continuing the current policy and practice of keeping these alleged gang members in SHU indefinitely, using the same alleged “evidence” that’s been used for the past 25 years. The proposal specifies that STG- I members will remain in SHU indefinitely, until they successfully complete the process or the “step down program” consisting of a minimum of four years to complete all four steps. This is the exact same process CDCR-OCS has used and abused for 25 years. This changes nothing for the prisoners classified as prison gang members, which is a majority of those in PBSP short corridor, most of whom have been in SHU for between 10 and 40 years already – without ever being formally charged and found guilty of a criminal gang act. B) The proposal fails to make meaningful, substantive changes responsive to core demands 1, 2 and 3 – and does so unsatisfactorily re core demand 5, e.g., making a mockery of our request for weekly phone calls, contact visits for steps 3 and 4 etc. And we see no point in having four steps – each requiring a minimum of one year to complete. And the vague wording in the rest of the proposal leaves too much room for abuse and manipulation – which CDCR-OCS staff have a long history of doing. All of this makes the CDCR-OCS proposal unacceptable. Based on CDCR’s lack of good faith in the process of changing their illegal policies and practices regarding the use and abuse of long-term isolation torture and for the reasons briefly summarized above, together with our belief that the CDCR-OCS proposal is so blatantly out of step with what was agreed to during negotiations between July through October of 2011, as to constitute an intentional stall tactic designed to prolong our subjection to those torturous conditions. Therefore, we hereby respectfully present our attached counter proposal – to be implemented without further delay. This proposal starts by looking at concrete programs that have been implemented by CDCR and functioned effectively and by examining how they can be immediately adopted to the present-day PBSP and all 180 prison structures. In the 1970s and 1980s the Max-B management control unit (MCU) programs, such as Chino, DVI and San Quentin Max-B, afforded as much programming as the general population (GP) prisoners had, and held individual prisoners accountable who failed to program within the MCU setting. Today in 2012 there are still some small Max-B type programs functioning in a few CDCR facilities under different names, but segregated with the same objectives. The new 180-design prison complexes are perfectly structured for the necessary control setting and for meeting all the security requirements needed to make this modern Max-B MCU type of unit more durable and cost-effective to operate for the California taxpayers. PBSP B facility – control/behavior program facility – for the general population prototype can be implemented as a pilot program and used at other 180-design prison complexes. PBSP B facility can serve a dual purpose of allowing for a short period of decompression time for validated SHU or Ad Seg prisoners who have served decades in supermax SHUs. This applies to prisoners who have not received any serious CDCR RVR 115s for any individual behavioral misconduct demonstrating factually reliable evidence of the prisoner currently engaging in criminal gang activity that shall and can be prosecuted as a criminal offense within California’s state or federal courts. 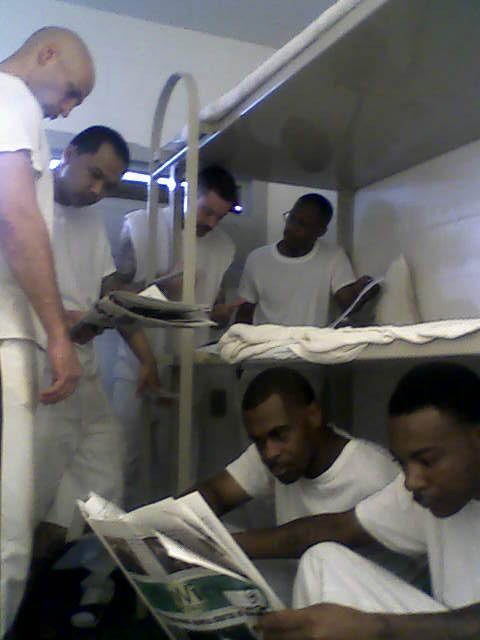 The second purpose of this M-MCU program shall allow validated prisoners to successfully complete the 90-day step program; this is a three-phase program for re-entry back in the general population of a prison setting, within the new modern structural environment of the 180 design prisons like the old MCU program – similar to what existed in the mid-1970s and 1080s at Chino, DVI, San Quentin Max-B units and old Folsom State Prison – i.e., restricted housing units. PBSP B facility is an ideal institution for the Max-B MCU Program for release to the GP, because it is in a level IV maximum security prison, with an existing policy requiring that inactive affiliates be housed on close B status within a level IV prison setting for a period of observation that shall be no longer than 12 months. Upon completion of that observation period, the prisoner shall be transferred to another control/behavior unit (CBU) facility to GP. In the absence of real safety needs (i.e. a specific conduct/behavior act), the prisoner may be housed in a facility consistent with his classification score. PBSP B facility is comprised of eight housing units with one main exercise yard that is divided into three smaller separate yards with approximately 20 cells per section (i.e., A, B and C) for building 1, and building 2 is a repeat of building 1. Each housing unit has three separate housing sections, with an approximate capacity of 40 prisoners in each section. Thus, each housing unit has room for approximately 120 prisoners and a facility capacity of 900 prisoners. Additionally, each housing unit has a separate concrete wall encased yard, with a capacity of 20 to 40 prisoners during the prisoners’ exercise periods. There are generally two or three exercising periods each day. Prisoners can effectively be segregated to fit security and safety standards, like what existed under the past management control units. All segregated programming can be operated by a schedule of Group A, Group B and Group C.
Phase I: Initial placement into MMCF from the SHU shall be for a minimum of 30 days, with no group programming, no designated work group participation, allowed non-contact visits. Phase II: Programming within a prisoner’s particular classification assigned to Group A, B or C. Eating in dining hall. Phase II placement shall be for a minimum of 60 days, with contact visits. Phase III: The successful completion of 90 days MMCF/GP programming, meaning a prisoner has full access to one of the main exercise yards with his assigned group. In Phase I, the Classification Committee will designate the assigned work group; Phase II work group A1, A2, B privilege group; Phase II work group A1, A2, B privileged work group. 9. Prisoners should be able to transfer to another institution with a MMCF to GP after one year, in order to be closer to family. A. IGI and OCS should discontinue the arbitrary, unfair practice of relying on allegations from confidential informant/debriefers to keep prisoners in SHU and/or from advancing out of SHU, unless such allegations are supported by credible evidence and thereby result in issuance of a CDCR 115 Rule Violation Report and required due process thereafter who himself has been denied inactive status. B. Discontinue relying on innocent associational activity, such as roster list, group petitions, address books, poems, drawings, portraits, literature, published books, manuscripts, signing of birthday cards, signing of condolence cards, legal work, chronos for talking, envelopes with a validated prisoner’s name on it etc., unless IGI can disclose undisputed evidence during inactive review that the prisoner under review has written to another on a roster list who is promoting current gang activity; written to the address of another validated prisoner who is promoting current gang activity. The same proof of evidence shall apply to poems, drawings, cards literature, etc., showing the prisoner how his written material has promoted “current gang activity,” gang violence etc. It is known that there are IGI and ISU and OCS officials who are deliberately, during the inactive reviews, misinterpreting what constitutes current gang activity, as well as relying on flimsy information that contains no credible evidence or documentation about the prisoner who is under review, showing him to be planning, organizing, threatening, soliciting or committing any criminal gang acts. If there is credible evidence supporting this, a CDCR 115 RVR is required. The reason for this erroneous practice is because there is an attitude to use the inactive review as a means to continue denying specific validated members a release from SHU to the mainstream general population (GP). There is an attitude to use the inactive review as a means to continue denying specific validated members a release from SHU to the mainstream general population. Documented evidence clearly demonstrates the opposition, e.g. OCS, is not in favor of giving better programming opportunities to SHU prisoners, like those afforded to the general population prisoners. Prisoners have loudly and clearly called for the end to group punishment and for a focus on individual behavior instead. They have voiced their willingness to accept individual accountability for individual conduct. They (prisoners) will get that under this plan, an individual who fails to remain in compliance with the PBSP B facility (MMCF) structural setting will return to the SHU or Ad Seg. The current long term SHU prisoners have already fulfilled a step down program during the decades spent in supermax SHUs. They should not have to do more to earn their release into a PBSP B facility (MMCF) program setting, like what existed in the mid-1970s and 1980s in what was called management control units within the SHU structure. The security level today in the 180 level IV prison is much more controlled and therefore suitable for a MMCF to be easily implemented and effectively operated. This document is in direct relation to the Pelican Bay Human Rights Movement to address the illegal warehousing of prisoners held in California torture chambers – i.e., solitary confinement, SHU and indefinite isolation – which is stated in the five core demands that CDCR Secretary M. Cate, former Undersecretary S. Kernan and current Undersecretary Terri McDonald have all agreed that we, the prisoners held within indefinite isolation, i.e., SHU, should have had coming and we shall be afforded all of the prisoners five core demands, which is supported by California Gov. E. Brown. These demands are all reasonable. Prisoners currently held under the indeterminate SHU term shall be relocated into this PBSP B facility-MMCF and shall be authorized to receive the same personal property items for prisoners assigned to the BMU; see Title 15, CCR 3334(e)(g). Evidence proves CDCR SHU and Ad Seg sensory deprivation from solitary confinement conditioning causes harm to prisoners. This illegal torture must end. These demands are all reasonable. This illegal torture must end. The science of sensory deprivation was theoretically structured in the federal prison in Marion, Illinois, in the 1970s. It was the first known behavior modification program in the United States. There were no pre-conditional snitching (debriefing) requirements connected to being released from said program. 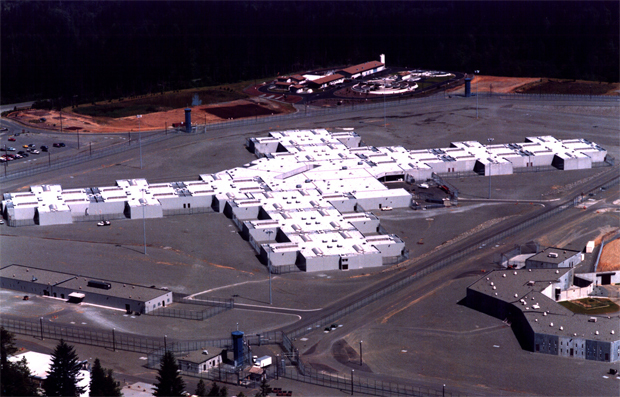 In California, at Pelican Bay State Prison Security Housing Unit (SHU), under the reign of the prison intelligence units (PIU) – SSU, ISU, LEIU, IGI and OCS – a high intensity (enhanced) sensory deprivation program was implemented in December 1989 against a targeted class of prisoner between the years of 1990 and 2011. Hundreds of targeted prisoners in the principal ethnic groups of New Afrikans (Black), Northern Mexican, White and Southern Mexican were tortured into debriefing. The fact of sensory deprivation being a form of torture is linked in its application and the results. For the sake of argument, the American Medical Association Encyclopedia, page 1103, defines sensory deprivation as a form of torture. The experimenting with sensory deprivation in California has far succeeded the federal behavioral modification program. 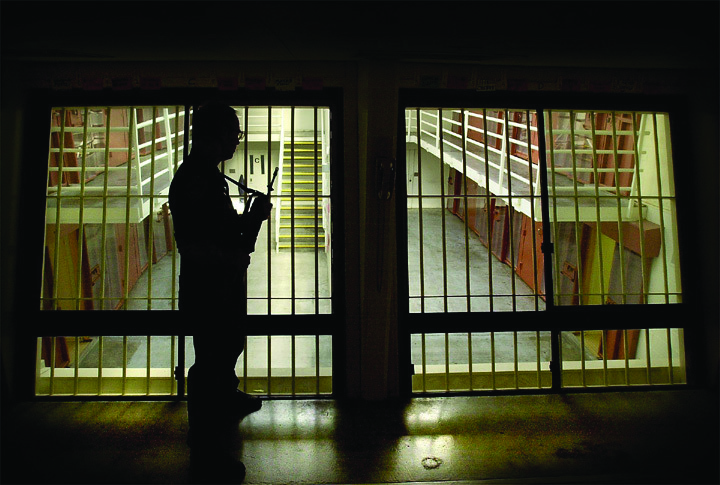 Long-term solitary confinement by itself is an irrational and unjustifiable instrument of corrections, and when the state of California allowed the prison-industrial complex (PIC) to implement such sensory deprivation for over five years, CDCR has recklessly modified the genetic features of what are human beings’ social characteristics. And suppressing a human’s natural social behavior changes the thought process of the targeted prisoner by removing objective reality. Once deprivation sets in, the second signal system – subjective reality – of the targeted prisoner’s thoughts will supersede the first signal system, which then produces irrationality, cannibalism, racism, chauvinism, terrorism, conformism and obscurantism. The process of deprivation passes through three phases: 1) judgment, 2) awareness, and 3) fatigue. Once the three phases are tapped into the physiological basis for the targeted prisoners, association and loyalties become short-circuited. The targeted prisoners of deprivation believe they’re no longer accountable for their behavior and actions. Sensory deprivation has secondary phenomena, which are social deprivation, cultural deprivation, ethical deprivation and emotional deprivation. No sane targeted prisoners can escape this type of deprivation that comes from long term interment in supermax control units. The science of deprivation has been perfected by the handlers to operate with devastating force. The techniques of torture by deprivation are used by United States military intelligence and the political police interrogators to break down the will power of the targeted prisoners. CDCR has conducted a war of attrition against the mind and body of thousands of prisoners over a prolonged period of time. CDCR has conducted a war of attrition against the mind and body of thousands of prisoners over a prolonged period of time. There’s a misconception that “mental” torture is not as brutal and barbaric as physical torture. Military intelligence experts will attest to the fact that mental torture is more effective than physical torture, especially inside the prison theater: 1) Physical torture produces short range returns. 2) Mental torture produces long range returns. 1) The cage pods have no windows; the targeted prisoners will go decades without ever seeing the natural physical scenery – i.e., trees, mountains, grass, dirt, plants, birds or wildlife – of the objective world. Prisoners will go decades without ever seeing the natural physical scenery – i.e., trees, mountains, grass, dirt, plants, birds or wildlife – of the objective world. 2) The cage pods have several strategic secret capabilities that are used for disposal of human beings, by incineration, refrigeration and or gas chamber – the degree of heat of combustion and cold (freezing point) or gaseous asphyxiate. 3) Ventilation shaft is designed to circulate stale and noxious air from cage to cage, resulting in poor air quality. 4) High intensity impulse noise is trapped in a vacuum. The prison intelligence unit (PIU) has an established profile of every targeted prisoner’s socio-psychological characteristics – dictatorial attitude, level of self-discipline, personality, group orientation, dominance, submissiveness, paranoia, sociability, non-compatibility. The PIU establishes the racial-ethic social ecology makeup of every eight-cell pod. It is essential to the intensity of deprivation that the social polarity atmosphere influences the phenomenal effects. It does play a significant role in bringing about the deterioration of the targeted prisoners. No targeted prisoners can escape the transformation of objective reality into subjective reality of self-preservation. The external world must become immaterial in the targeted prisoners’ minds if they are to survive the war of attrition. 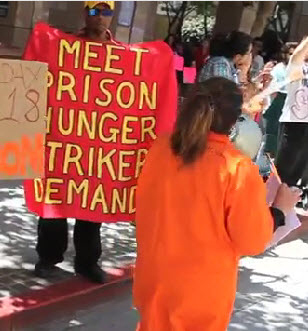 During the last six months of 2011, California prisoners were compelled to get involved in two peaceful, non-violent hunger strikes to let this country’s President Obama and Gov. Brown of California and CDCR Secretary M. Cate know that this country, USA, and the state of California do in fact torture state prisoners. They later drive some to the state of sensory deprivation through the personnel of prison intelligence units, military intelligence agents and political police tormentors. This country, USA, and the state of California do in fact torture state prisoners. Now, over the past nine months, July 2011 to March 2012, we prisoners have lost three fellow prisoners, whom we shall honor for their courageous struggle for our PBHRM call for justice and humanity. These are men – human beings – who were subjected to the inhumane treatment in solitary confinement who dedicated their lives to our struggle to be liberated from these torture chambers. We dedicate to them our commitment to continue our struggle. Respectfully submitted by Sitawa Nantambu Jamaa (Dewberry), C-35671; Arturo Castellanos, C-17275; Todd Ashker, C-58191; and Antonio Guillen, P-81948. The address of the Pelican Bay State Prison SHU is P.O. Box 7500, Crescent City CA 95532. This counter-proposal is dated March 19, 2012. The Bay View has endeavored to make this as accurate a transcription as possible. For a scanned copy of the original handwritten document, email the Bay View at editor@sfbayview.com. Previous articleBlack sounds silenced at KPFA?